Your home is both the center of your life and a reflection of it. 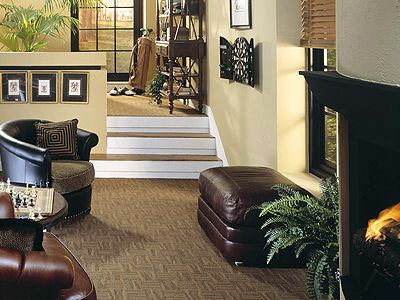 Whether your taste runs to classic, country, or contemporary, your home should feel warm and inviting. This is where Karastan comes in. 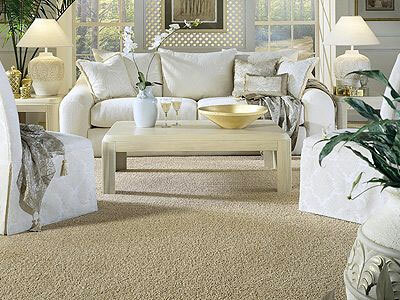 Simply put, there’s no better way to say, Welcome than with Karastan. 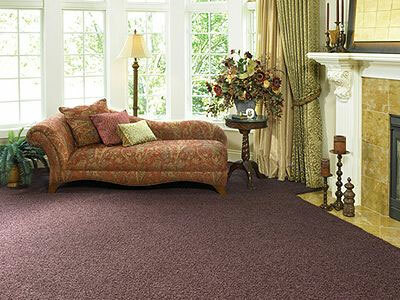 Karastan makes some of the finest broadloom carpets available today. 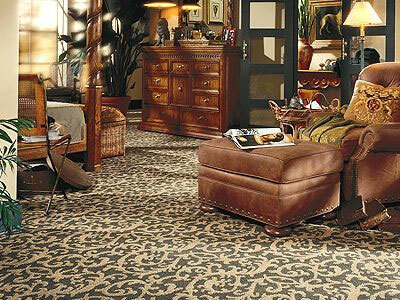 They are known throughout the world for their power-loomed rugs with all the richness and complexity of hand-woven Orientals. 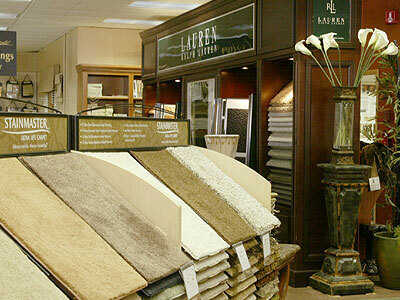 Since 1934, they’ve brought all that skill and expertise to their line of broad- loom carpets. 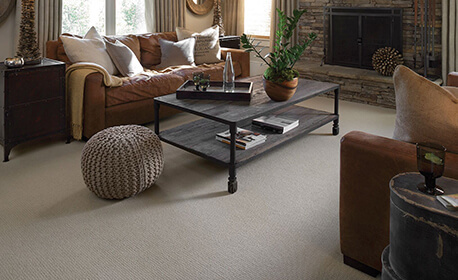 The Karastan collections range from traditional to contemporary; from plush textures and sculptured patterns to soft Sisal Wools’ each one is beautiful. And each one lives beautifully. This is and always has been the hallmark of Karastan. 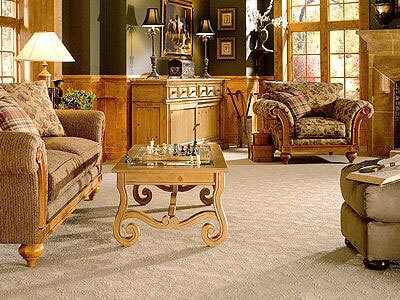 Craftsmanship – Carpet is a long-term investment that must look fresh and lovely years past its installation. For this reason alone, Karastan is the right choice. Karastan is the ultimate marriage of beauty and performance. Every Karastan is made of the finest materials. Every Karastan is created by an artist. By the time they reach your home, every Karastan will have been touched, literally yard by yard, by dozens of craftsmen. Looking for a loose stitch. A stray thread. A needle in a haystack. These are little things, true enough. 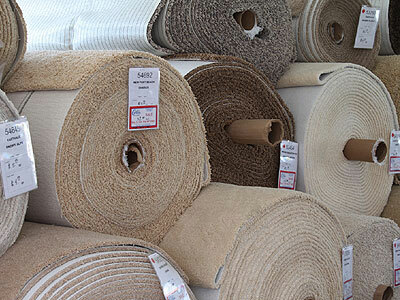 But they make a world of difference in carpet. And they have made Karastan the world standard it is today. 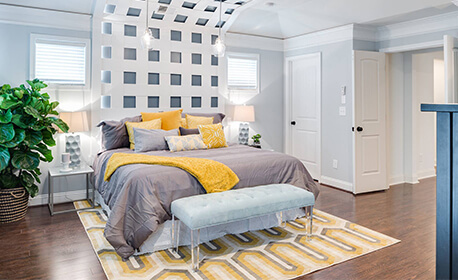 Versatility – A beautiful home is composed of many elements-architecture, color, and furnishings all working together. 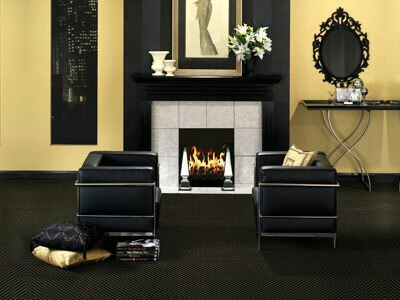 Carpet can enhance the look, feel, and personality of a room more dramatically than any other design element. 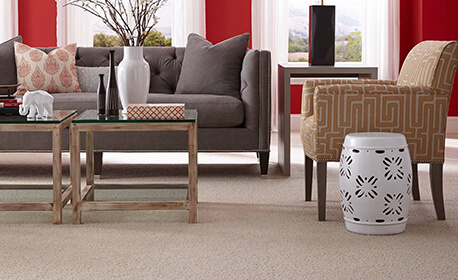 New carpet can energize a decorated room by supporting or contrasting with its primary color scheme. 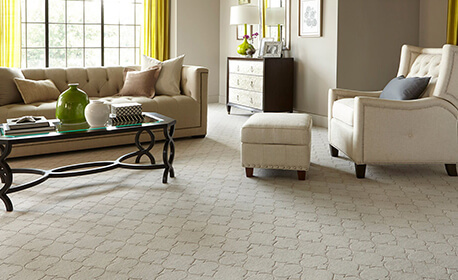 Choose carpet with an interesting design or texture and it can signal function (as in a playroom); showcase furnishings (such as a Karastan oriental design rug); or quietly link pieces from many countries, styles, and attitudes. 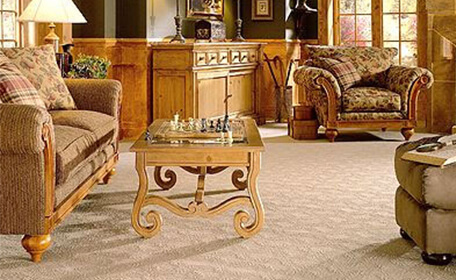 Karastan carpets are truly works of art that work anywhere. 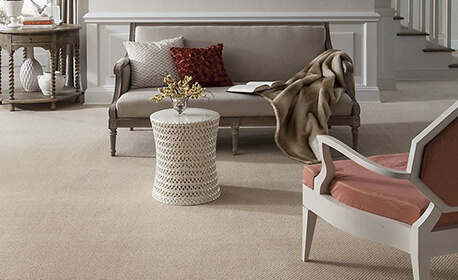 Performance – Only Karastan offers woven or tufted carpet with a palette of timeless design choices-colors, patterns, textures– you can work with for years to come. Yes, they are well respected for their fine imported wools, premium materials, and advanced weaving techniques. But Karastan is also known for their exacting construction.